Eight years ago, I took my first timorous steps into the virtual computer world known as Second Life. It was an extraordinarily confusing experience having to create a new image for oneself in a massive online animated game where you begin with nothing and, ideally, pursue or discover dreams of what you might do if you really did get the chance of a second life. Eight years ago, my second life persona, Wolfgang Glinka, couldn’t even walk across a room without falling over – a bit like an infant in so many ways. Eight years on and I am, I guess, a veteran of this world and I have had a truly interesting time. 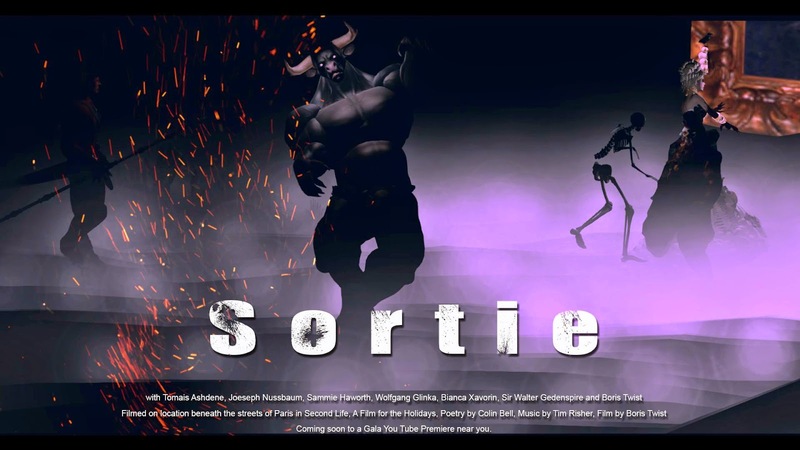 Now, for the first time, I’ve collaborated in making a film, Sortie, which is premiered (on Youtube) today. 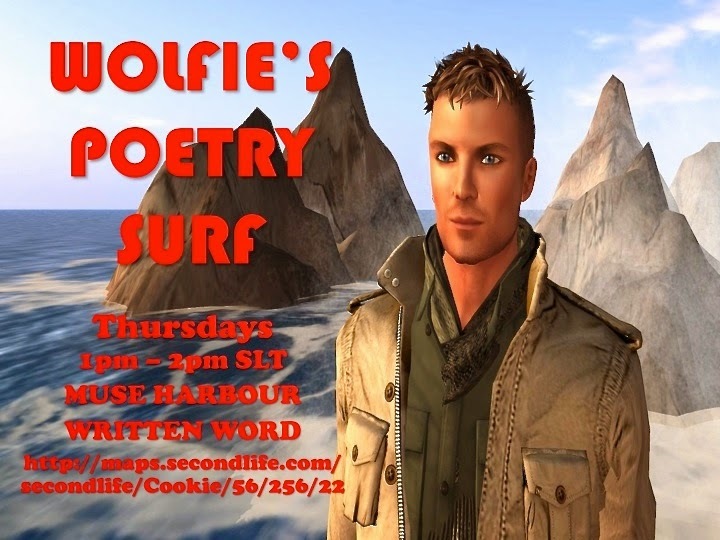 I perform poetry a lot in Second Life, running a poetry event every Thursday, Wolfie’s Poetry Surf, when I’m joined, live, by poets from all over the ‘real’ world. Now, both my lives, real and second, have combined giving me many chances of crossing backwards and forwards between them as I pursue all the writing possibilities that come my way. Now, I am Colin Bell, Wolfie Wolfgang or Wolfgang Glinka, a triple personality perhaps but no, not really. I’ve just embraced the wonderful possibilities, if used wisely, that the worldwide web offers us all. 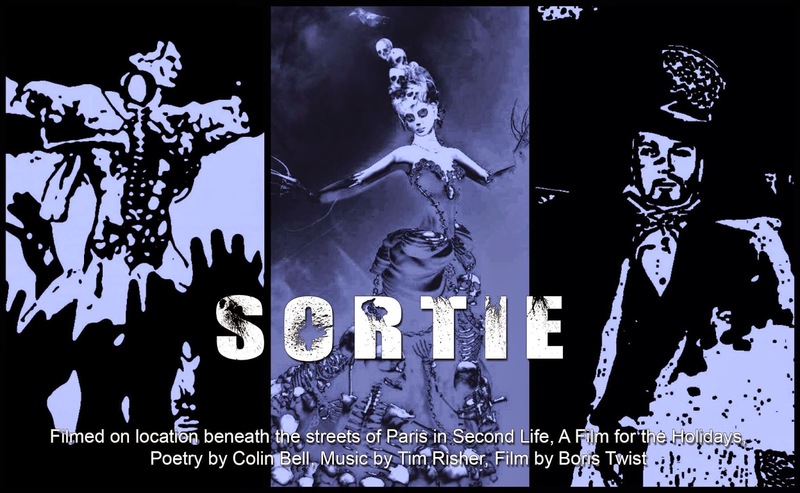 The film, directed by the splendid Boris Twist is a visualisation of my poem, Sortie, written earlier this year but promptly forgotten until Boris asked me if I had anything dark enough for a Halloween film. Once I’d found it, it became a real pleasure for Colin Bell to record it and for Wolfgang Glinka to appear as narrator. Take a look – I’m thrilled by Boris’ clever use of my poetry. Most important of all, the whole project was fun. sl is a very creative place.